Puppies are playful and fluffy and goofy — and a whole lot of work. 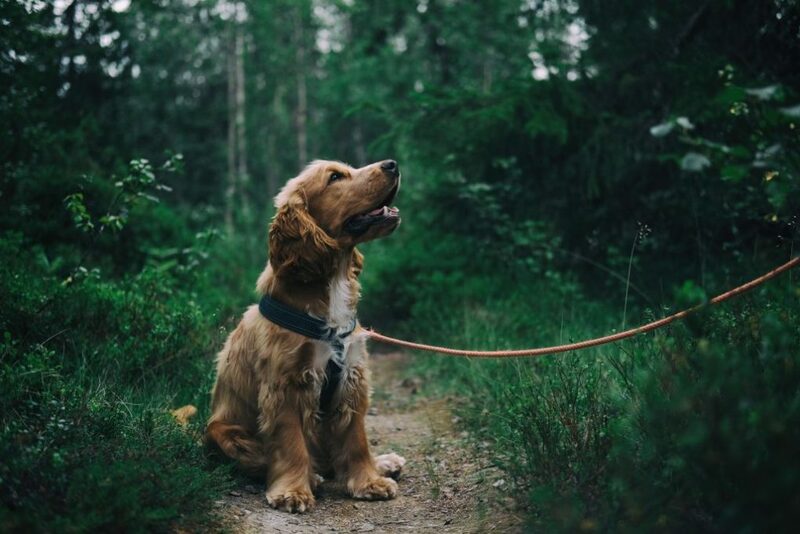 How do you even begin thinking about training your new dog on a leash, much less teaching them how they can tell you (without words) when they need to go to the bathroom? It can feel like an overwhelming prospect, of course, which is why sometimes it’s easy to let the stuff like food — how much is too much and how much is too little — get away from you. But establishing some good food habits with your puppy and knowing how much they need to eat in order to grow into a beautiful, full-grown dog, is important. Your puppy is a bundle of energy, which means that it burns through a lot of energy (calories) in a day. But it can be hard for you to judge how that translates, which is why the best, first thing you can do is establish a schedule. What else do you need to know? This graphic explains it. Hill’s Pet Nutrition is facing a slew of consumer lawsuits linked to their January 2019 excess Vitamin D recalls. Represented (among others) in this lawsuit is the owner of “Taki, a chihuahua mix” who consumed the toxic Hill’s dog food starting in November of 2018. Taki died of renal failure in February 2019. To contact this law firm, Click Here. In another of the seven lawsuits filed against Hill’s – Stella, a dachshund rescue from Florida – consumed just six cans of Hill’s i/d dog food. On January 26, 2019 she was in total kidney failure and had to be euthanized. In the lawsuit quoted above, Duncan – a seizure alert trained service dog – died on January 12, 2019. Taco died on January 24, 2019. Lily died on November 27, 2019. All of the above heart breaking pet deaths are just a tiny glimpse into the destruction this toxic pet food caused. The price a pet food manufacturer pays for NOT properly testing ingredients: 7 class action lawsuits. The price a pet owner pays for a reckless manufacturer that doesn’t properly test ingredients: painful illness and death of their pet. Nothing has changed since the 2007 pet food recall. In 2007, Hill’s issued 3 recalls for melamine contaminated pet food. No pet food manufacturer in 2007 bothered to test or validate the quality of vegetable protein ingredients (such as wheat gluten) in advance of using those ingredients in their pet foods. Those ingredients were later found to be contaminated with melamine – responsible for killing thousands of dogs and cats. Fast forward 12 years, AGAIN – Hill’s did not test ingredients or validate ingredient quality. How many pet’s have to die until each and every pet food manufacturer tests and validates the quality of ingredients? Become a member of our pet food consumer Association.Association for Truth in Pet Food is a a stakeholder organization representing the voice of pet food consumers at AAFCO and with FDA. Your membership helps representatives attend meetings and voice consumer concerns with regulatory authorities. Click Here to learn more. Americans are increasingly treating their pets as members of the family, feeding them gourmet food, paying for day care and throwing them birthday parties. Family sleepwear sets sold on PajamaGram.com even include matching jammies for the dog. So it’s not surprising that an increasing number of “pet parents,” as they are known in the pet care industry, are seeking sophisticated medical treatments for their animals. Enter pet health insurance, marketed as a way to help defray rising veterinary expenses and avoid “economic euthanasia” — the necessity of putting a pet down because the owner can’t afford treatment. More than two million pets in the United States and Canada (most of them in the United States) were insured at the end of 2017, up about 17 percent from the year before, according to the North American Pet Health Insurance Association. But consumer advocates say that pet owners should make sure they understand how the policies work before buying them. More than two-thirds of households in the United States own a pet, according to the American Pet Products Association. Americans spent about $70 billion on pets in 2017, including purchases of animals, food, veterinary care, medicines and other services. “People are much more inclined to think of their animals like children, and treat them accordingly,” said James Serpell, a professor of ethics and animal welfare at the University of Pennsylvania’s School of Veterinary Medicine. Details vary by insurer and policy, but premiums for pet insurance typically depend on factors like the cost of veterinary care where you live and the age and breed of the pet. The average annual premium for “accident and illness” coverage was $516 per pet in 2017, while the average claim paid was $278, according to the pet health insurance association. Jeff Blyskal, a senior writer with Consumers’ Checkbook, a nonprofit group that rates services in major urban markets, said pet owners should compare policies with a critical eye. When years of payments are taken into account, he said, buying insurance could end up being more expensive for some pet owners than going without it, if their animal doesn’t require much care. Pet policies typically don’t cover pre-existing conditions, Mr. Blyskal said, so premiums are generally lower when your pet is young and healthy. Even if you start early, though, you may end up paying more over time, he said, because some policies raise premiums as pets get older. This can increase costs substantially, he said, and cause owners to drop their policies as the animals get older — just when they are more likely to need the coverage. Industrywide, the average pet policy is maintained for three years or less, according to an insurer regulatory filing in 2016 in Washington State. The expenses tied to pet health coverage usually include not only a regular premium but also other out-of-pocket costs, like a deductible — an amount that you must pay before insurance begins paying. Insurance may cover less than 100 percent of costs after the deductible, so you’ll still have to pay for part of the treatment. Some policies may cap payments, so ask if there’s a limit. Rob Jackson, chief executive of Healthy Paws Pet Insurance, said insurance could protect against budget-busting events costing thousands of dollars. (Healthy Paws said a pet’s age affects premiums at initial enrollment, and also as the pet ages.) The Healthy Paws website cites examples like Fridgey the Bengal cat, who had a $4,600 hip replacement, and Lupa the German shepherd, who needed $52,000 in treatment for tetanus exposure. One way to pay lower premiums, and possibly get broader coverage, is to buy pet insurance through your employer. Eleven percent of employers in the United States offer pet health insurance benefits, according to a 2018 survey by the Society for Human Resource Management, up from 6 percent in 2014. Typically, companies offer pet insurance as a “voluntary” benefit. It’s uncommon for employers to contribute to the cost of premiums, as they do with human health insurance. But insurers may give employees a break on premiums, or offer better coverage, because their marketing costs are lower. “We had a strong belief that pets are a part of one’s family,” she said. Scott Liles, president and chief pet insurance officer with Nationwide, said half of Fortune 500 companies offer their employees pet insurance from his company. Nationwide’s employer-based plans now underwrite by species — canines vs. felines — but not by age or breed, Mr. Liles said. That means, he said, you won’t pay a higher premium if your pet is older, or if its breed is prone to certain illnesses, unlike policies sold in the open market. Do some animals cost more to insure than others? Cats are generally less expensive to insure than dogs. The average accident and illness premium in 2017 was about $45 a month for dogs and $28 a month for cats, according to the pet health insurance association. Because some purebred animals are prone to certain health problems, some insurers may charge higher premiums for them. Most, but not all, insurers limit coverage to common household pets. Nationwide, Mr. Liles said, offers coverage for birds, hamsters and more exotic pets, including tarantulas and even hedgehogs. What if I can’t afford pet insurance? Local animal shelters may offer basic services, like rabies vaccinations or spaying and neutering operations, at a discounted rate. The Humane Society of the United States lists groups that can help owners who can’t afford medical care for their pets. Another option is to put money away each month — perhaps the amount of the premium you would pay — into a dedicated savings account so you will have some funds available for pet care if you need it. What if I’m unhappy with my pet insurance policy? Insurance products are generally regulated by state governments, so you may want to contact your state insurance commissioner about your concern. The National Association of Insurance Commissioners offers information about pet insurance and links to regulatorsin each state. An earlier version of this article, using information supplied by Healthy Paws Pet Insurance, misstated how a pet’s age affects premiums for the company’s policies. 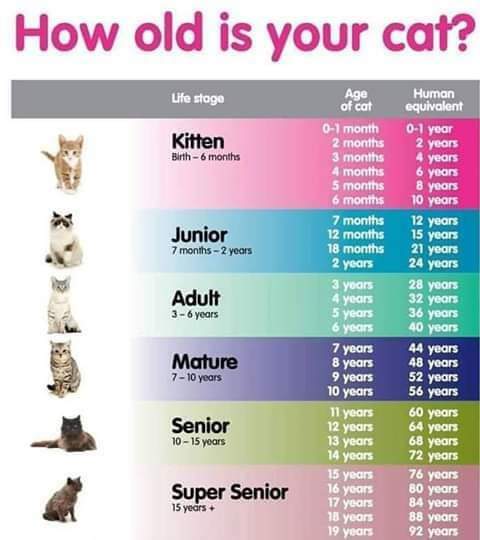 The pet’s age affects the premium at the time of enrollment and as the pet gets older, not just at enrollment. Animal Health Foundation Board Member, Dr. Alice Villalobos, is quoted in this article! Hospice Care For Dogs: Is It The Right Choice For You & Your Pooch? Hospice care for dogs is a relatively new concept. Sadly, the word hospice often carries a negative stigma. It reminds us of lonely, sterile rooms and the fear of impending death. In reality, hospice care can be a wonderful gift for terminally ill people and pets. Rather than focusing on invasive medical procedures, hospice provides physical and emotional comfort to end-of-life patients and their families. 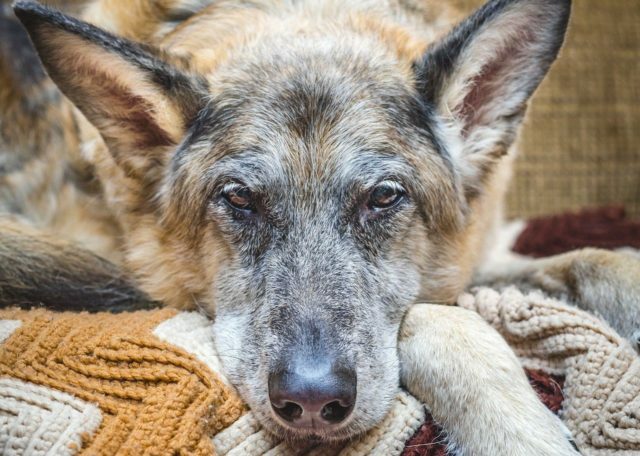 What is hospice care for dogs? Hospice care is based on the philosophy that people and pets deserve to die with dignity. When a dog is suffering from a serious illness and a cure is not possible, hospice care provides a temporary alternative to euthanasia. The goal is to make their remaining days comfortable with pain medications, dietary strategies and human interaction. Dr. Alice Villalobos is a world-renowned veterinary oncologist. She coined the term “pawspice,” which she describes as supportive care in evaluating and managing quality of life in the time leading up to a pet’s death. Hospice care for dogs also allows families to come to terms with the impending loss of a beloved friend. In keeping a terminal pet comfortable, the human family members have time to come to terms with the situation. Hospice allows them to plan special moments with their dog, take family photos, and seek emotional and spiritual support. If you have a bloat-prone breed, consider a gastropexy, a surgical procedure that can prevent stomach torsion. It was a beautiful fall day, and I was at a dog show. In the ring was a gorgeous veteran Greyhound – strutting his stuff in one of those peacock moments that transport gray-faced show dogs back to their youthful selves, with nothing but time and promise before them. A short time later, I heard a commotion from the parking area, and then the awful news: The handsome old dog was bloating. Thankfully, this was a group of highly experienced dog people, and the dog’s handler immediately ran to her van to procure the bloat kit that she always traveled with. As several people helped hold the dog, she inserted a tube down his esophagus to help expel the trapped gas that was causing his ribs to expand like barrel hoops, taped the tube in place, and sped off to the nearest emergency vet. I heard through the grapevine later that the dog had, mercifully, survived. There’s good reason why veterinarians call bloat “the mother of all emergencies.” It can come on suddenly and, if left untreated for only a handful of hours, can spell a death sentence for a dog. Symptoms of bloat, which is incredibly painful for the dog, include pacing and restlessness; a distended abdomen; turning to look at or bite at the flank area; rapid, shallow breathing; retching without actually vomiting up any food, and excessive drooling. Bloat is a two-part disorder, telegraphed by its formal name: gastric dilatation and volvulus. The first part, gastric dilatation, refers to an expansion of the stomach due to the presence of gas and/or food. The second part, volvulus, is the fatal blow: The distended stomach begins to twist, cutting off the blood supply and causing its tissue to die off. As if that wasn’t trouble enough, the enlarged stomach may press on the blood vessels that transport blood back to the heart, slowing circulation, creating cardiac arrhythmia, and sending the dog into shock. Once the stomach has torsioned, emergency surgery is required to restore it to its normal position, and to evaluate whether so much tissue has died off that the dog has any hope of surviving. This was precisely the scenario that the quick-thinking Greyhound handler had sought to avoid: By inserting the bloat tube down the esophagus and into the stomach, she not only created an avenue of escape for the trapped stomach gases, but also ensured that the stomach could not twist while the tube was inserted. As you can imagine, this is not something that most dogs entertain willingly, and, indeed, on the ride to the veterinarian, the dog struggled and the tube was dislodged. Still, it bought enough time for his survival. Many owners, however, don’t have the inclination or the fortitude to stick a tube down their dog’s throat, even if he is bloating. And for those who have breeds that are at a higher risk for bloat, the constant stress of worrying “Will she bloat?” after each meal is enough to prompt them to consider gastropexy, a preventive surgical procedure where the stomach is sutured to the body wall. While gastropexy won’t prevent a dog from dilating, it does greatly reduce the likelihood that the stomach will flip – which is the life-threatening “volvulus” part of gastric dilatation and volvulus. Owners who are determined to prevent bloat nonetheless want to understand its causes before submitting their dogs to an elective surgery like gastropexy. The problem is, veterinary science is still unclear about precisely what triggers an episode, and instead can only offer a long and varied list of risk factors. The mother of all bloat studies was done two decades ago by Dr. Lawrence T. Glickman and his colleagues at the Purdue University Research Group, and is still being discussed and quoted today. The 1996 study and its follow-up research found that many food-management practices that were initially believed to help reduce the risk of bloat – like feeding from a raised food bowl, moistening dry food before serving, and restricting water access before and after meals – actually increased the odds of a dog bloating. Other risk factors include eating only one meal a day; having a close family member with a history of bloat; having a nervous or aggressive temperament; eating quickly; being thin or underweight; eating a dry-food diet with animal fat listed in the first four ingredients, and/or eating a moistened dog food, particularly with citric acid as a preservative. Not surprisingly, certain breeds were found to be at high risk for bloat, particularly large or giant breeds. Topping the list were Great Danes, followed by St. Bernards and Weimaraners. The study found that breeds with deep and narrow chests – like the Greyhound that started this story – are also at higher risk for bloating, as are males and older dogs. Also according to the Purdue study, the risk of bloat was more than twice as high in dogs seven to 10 years old compared to dogs two to four years old, and more than three times as high in dogs age 10 and older. While not a guarantee that your dog will avoid experiencing an episode of bloat, these steps can help lower the risk. 1. Feed several smaller meals per day. Feeding a large, once-a-day meal can extend the stomach and stretch the hepatogastric ligament, which keeps the stomach positioned in the abdominal cavity. Dogs that have bloated have been found to have longer ligaments, perhaps due to overstretching. 2. Slow down fast eaters. 3. If you feed kibble, add some variety. Dogs that are fed canned food or table scraps have a lower incidence of bloat. If you feed kibble, try to avoid food with smaller-sized pieces, and opt for brands that have larger-sized pieces. While some raw feeders maintain that feeding a raw diet prevents bloat, there are no studies to support this, and raw-fed dogs are not immune to bloating. 4. Don’t go for lean and mean. Studies show that thinner dogs are at greater risk for bloat; in fatter dogs, the extra fat takes up space in the abdomen and doesn’t give the stomach much room to move. While no one is advocating that you make your dog obese, keeping a bloat-prone dog on the slightly chunkier side might have some merit. 5. Reduce your dog’s stress. Easier said than done, of course. But if at all possible, opt for a house sitter instead of taking your dog to a kennel. If you have multiple dogs, feed your bloat-prone dog separately, to avoid the stress (and resultant gulping) from worrying that his meal might be snagged by a housemate. 6. Don’t eat and run. Veterinary experts recommend that you avoid giving your dog hard exercise one hour before and two hours after he eats. Many give the green light to walking, however, as it does not jostle the full stomach and in fact can help stimulate digestion. Because bloat strikes when you least expect it – often at night, when most veterinary practices are closed, and the nearest emergency vet might be a distance away – a bloat kit can be a literal lifesaver. Some dog-care sites sell pre-assembled bloat kits. (One option is available from A Better Way Pet Care.) Most include clear vinyl tubing (the kind sold by aquarium stores); a wooden mouth block, to keep the mouth open while the tube is being inserted (a piece of PVC pipe can work in a pinch), and water-soluble lubricant. Ask your vet to show you how to measure the tubing so that it is the correct length, how to insert it, and how to tell if you are passing the tube down the trachea rather than the esophagus. Remember that a gastric tube is not a treatment for bloat; it is a first-aid measure. If you are unsure of how to use the kit, or if you are alone and don’t have someone to transport you while you work on the dog, make getting to the vet your first priority. If your dog bloats and her stomach has torsioned, surgery is the only recourse if you want her to survive. And if you get to the vet in time, the odds are with you: In a retrospective study of 166 cases between 1992 and 2003, researchers found that short-term mortality resulting from bloat surgery was a relatively low 16.2 percent. Risk factors for a fatal outcome included having clinical signs more than six hours before surgery (i.e., the longer you wait, the worse your dog’s prognosis), hypotension during any time of the hospitalization, peritonitis, sepsis, and administration of blood or plasma transfusions. Dogs whose tissue damage was so advanced that they required part of their stomach or their spleen removed (partial gastrectomy or spleenectomy, respectively) also had worse prognoses. But the decisions regarding a gastropexy – essentially, “tacking” the stomach so it cannot torsion – are not as clear-cut. If your dog has never bloated, you’ll need to weigh the risk factors: Is your dog’s breed prone to bloat? (Great Danes, for example, have a whopping 42.4 percent chance of bloating in their lifetime.) Do you know of any siblings, parents, or other close relatives who have bloated? Is your dog nervous, aggressive, or a super-fast eater? And, most important, has your dog bloated before? Studies indicate that such dogs have a recurrence rate of more than 70 percent, and mortality rates of 80 percent. There are several kinds of gastropexy surgery. Securing the bottom of the stomach to the right side of the body so it cannot rotate during an episode of bloat is the common goal of each type of surgery, but slightly different methods are used to accomplish this. There are no studies that compare the efficacy of the various types of gastropexy, but the general consensus is that there is not a huge difference between them. Most veterinarians will choose one over the others based on their own preference and amount of experience. Incisional gastropexy is a straightforward procedure in which the bottom of the stomach (the antrum) is sutured to the body wall. It relies on only a few sutures until an adhesion forms. Belt-loop gastropexy involves weaving a stomach flap through the abdominal wall. Though a relatively quick procedure, it requires more skill than an incisional gastropexy. In a circumcostal gastropexy, a flap from the stomach is wrapped around the last rib on the right side and then secured to the stomach wall. Proponents of this approach note that the rib is a stronger and more secure anchor for the stomach. This type of gastropexy requires more time and skill to perform; risks include potential rib fracture and pneumothorax, in which air leaks into the space between the lung and chest wall. Gastropexy is now being performed with minimally invasive approaches such as laparoscopy and endoscopy, which shorten surgery and anesthesia times, as well as the time needed for recovery. Though both use remote cameras to visualize the surgery area, the laparoscopic-assisted approach requires an extra incision through the navel, which allows the surgeon to directly visualize the position of the stomach and make any modifications necessary. A 1996 study of eight male dogs compared those that had laparoscopic gastropexy with those that had belt-loop gastropexy, and concluded that the laparoscopic approach should be considered as a minimally invasive alternative to traditional open-surgery gastropexy. Complications from gastropexy are relatively minor, especially for young, healthy dogs who are undergoing the surgery electively, before any incidence of bloat. As always, be sure that your dog has a complete pre-surgical work-up to ensure there are no chronic or underlying conditions that might compromise her ability to successful recover from surgery. And again, while gastropexy isn’t foolproof, Dr. Glickman has been quoted as saying that the risk of bloat and torsion after the procedure is less than five percent – not bad odds at all. If you do elect to have a gastropexy performed on your dog, many veterinarians do the procedure at the same time as spaying or neutering. That way, the dog doesn’t have to go under anesthesia again, or, in the case of conventional surgery, be “opened up” another time. In the end, the question of whether or not to have a gastropexy done is arguably tougher for those whose dogs who are not at very high risk: The owner of a Great Dane has a greater incentive for getting a gastropexy than, say, the owner of a Shih Tzu, whose bloat rates are not as comparably high. A 2003 study that looked at the benefits of prophylactic gastropexy for at-risk dogs used a financial metric to assess the benefits of surgery: Working under the assumption that elective gastropexy surgeries cost about $400 and emergency bloat surgeries cost at least $1,500 – or as much as four times that – the study concluded that the procedure was cost effective when the lifetime risk of bloat with torsion was greater than or equal to 34 percent. As with any complex decision, assess your dog’s risk factors, as well as your individual circumstances, and then make the choice that seems right for the both of you. Denise Flaim raises 12-year-old triplets and Rhodesian Ridgebacks, on Long Island, NY. A lot happened in pet food this year. Sadly, mostly bad news. Here is a review of pet food for 2018. In early January of 2018, we learned that industry hired a representative who submitted a proposal to AAFCO hoping to weaken the legal requirements of a human grade pet food. No decision has been made by AAFCO at year’s end. January also gave us some misleading marketing published by Purina; highlighting the serious need for pet owners to have public access to pet food ingredient definitions. Just Food for Dogs cooked dog food – Listeria monocytogenes. This was a pet food recall that led to a human food recall (first in history) – the pet food caught the problem, human food did not. February 2018 brought news of more pentobarbital in pet food. Washington DC television station WJLA News tested 62 samples of dog food. “After months of tests and re-tests, one brand repeatedly came back positive for pentobarbital. In total, we tested 15 cans of Gravy Train. Nine cans — 60-percent of the sample — were positive for pentobarbital.” And following the news of pentobarbital in Gravy Train, a class action lawsuit was filed against manufacturer Big Heart Brands/J.M. Smucker. In February, TruthaboutPetFood.com provided a comparison to FDA’s handling of a kibble recall to a raw recall proving absolute bias by the agency. General Mills purchased Blue Buffalo pet food in February 2018 for an estimated 8 Billion dollars. We provided an in-depth look into the ‘Complete and Balanced’ pet food regulations – proving existing regulations could cause nutrient deficiency in pets. Raws for Paws raw pet food – Salmonella. Smokehouse Pet Products, Inc. “Beefy Munchies” – Salmonella. Redbarn Pet Products, LLC Bully Stick three pack – Salmonella. Darwin’s Pet Food raw pet food – Salmonella. Smokehouse Pet Products expanding recall Beefy Munchies/Beefy Bites – Salmonella. TruPet, LLC topper – Salmonella. Northwest Naturals raw pet food – Listeria monocytogenes. Carnivore Meat Company raw pet food – Salmonella. In March of 2018, a pet owner who lives across the street from a rendering facility provided us with horrific pictures of what FDA considers pet ‘food’. The State of Ohio stepped up in a big way in March of 2018 – with Representative Laura Lanese submitting a bill requiring pet food to be free from any euthanized animal including dogs and cats used as a pet food ingredient. Ohio is the first state to do this! In March of 2018, TruthaboutPetFood.com explained the ‘False Friends’ of pet food labels(misleading information on pet food labels and websites due to pet owners having no public access to pet food ingredient definitions). Also, TruthaboutPetFood.com explained how FDA ignores the risk of dead bacteria on pet food ingredients (ignores the certain risk of endotoxins). March 2018 brought a class action lawsuit against Champion Pet Food for “False Advertising”, violations of “feed law”, and numerous other charges. And we learned of more jerky treats imported from China killing beloved pets. And we learned of pet deaths in Australia linked to a Mars Petcare pet food. Blue Ridge Beef raw pet food – Salmonella and Listeria monocytogenes. Steve’s Real Food raw pet food – Salmonella. The FDA has informed J.M. Smucker that the firm’s previous action to withdraw products from the marketplace is now reclassified as a recall. Pentobarbital. Raw Basics, LLC. raw pet food – Salmonella. Redbarn Pet Products, LLC treats is expanding their voluntarily recall initially issued on February 9th. Radagast Pet Food, Inc. raw pet food – Listeria monocytogenes. The J.M. Smucker Company dog treats – elevated levels of beef thyroid hormone. Darwin’s Natural Pet Products raw pet food – Salmonella and E. coli O128. In April of 2018 we learned just how deadly grains in pet food could be. A survey of mycotoxin risks of grain ingredients in North America found 80% of grain samples tested contained two dangerous mycotoxins. FDA issued a Warning Letter to Darwin’s Pet Food that proved the agency enforces with a double standard – raw pet food is held to food law, all other styles of pet food are held to inferior ‘feed’ laws. We provided an in-depth look into the ‘system’ of influence of pet food regulation. K9 Natural Ltd raw pet food – Listeria Monocytogenes. Vital Essentials raw pet food – Salmonella. OC Raw Dog, LLC raw pet food – Listeria monocytogenes. OC Raw Dog, LLC treat – fish have exceeded the FDA compliance guideline for fish larger than 5 inches. That’s a picture of TruthaboutPetFood.com from a presentation at Pet Food Forum. May 2018 introduced us to Maria – a pet owner in Australia that stands on street corners day after day trying to educate fellow pet owners to the conditions of pet food. We also learned that Wilbur-Ellis – a pet feed ingredient supplier pleaded guilty to “substituting lower-cost ingredients for premium, more expensive chicken and turkey meal”. Merrick Pet Care treat – elevated levels of a naturally-occurring beef thyroid hormone. 13 billion pounds cattle material, an equal 13 billion pounds of illegal poultry material and another 13 billion pounds of illegal pig material is also allowed to be processed into pet feed/animal feed for a grand illegal total of 40 billion pounds a year. We explained the term in pet food “with” chicken or beef. Dave’s Pet Food can dog food – elevated levels of beef thyroid hormone. In July we explained the two most important words regarding pet food ingredients: “and passed“. FDA released a “consumer alert” regarding the potential link to Grain-free pet foods and canine heart disease. We emphasized the concerning issue that pet owners have no public access to pet food ingredient definitions and regulations. We learned that FDA came into a pet food store in Pennsylvania and took pet food for testing from the store without paying for that pet food. In July of 2018 we also learned that Purina has been “in talks” to purchase Champion Pet Food. The lawsuit against Champion Pet Food will continue per judge’s decision, and another lawsuit filed against Champion was filed – this time for cat food. And in July of 2018 we learned that a Mars Petcare plant was infested with “millions of roaches” – but FDA took no regulatory action. Radagast Pet Food, Inc. raw pet food – Listeria monocytogenes and E. coli O121. In August 2018 we compared the ingredients of brands of pet food from past to present. We exposed the significant conflict of interest of law making abilities of three public universities (in Kentucky, Indiana and Texas) that receive donations from Big Pet Food. And in August of 2018 the FDA provided an update to their Grain-free pet food investigation into the link to canine heart disease. G & C Raw raw pet food – Listeria monocytogenes. Radagast Pet Food raw pet food – Listeria monocytogenes and E. coli O121. September was full of bad news for pet owners. We learned that a licensed “dead animal hauler“ (that picks up euthanized animals) is also a pet food manufacturer. We learned that millions of drown livestock animals from Hurricane Florence were welcomed as pet food ingredients. In September of 2018 we learned that FDA is ONLY working with Big Pet Feed to aid in the investigation of Grain-Free pet food link to canine heart disease. This website sent multiple requests to FDA on how pet owners can help – all were ignored. Scientists aiding in the investigation continue to provide misleading information to pet owners claiming “Grains have not been linked to any health problems except in the very rare situation when a pet has an allergy to a specific grain.” They ignored the certain risk of mycotoxins. Steve’s Real Food raw pet food – Salmonella and/or L. mono. Bravo Packing, Inc. raw pet food – Salmonella. October 2018 brought devastating news to pet owners. The pet food safety laws that were written to prevent another deadly recall like the one in 2007 were simply erased from record by Congress. In November – listed below – we learned the name of the one Senator that destroyed pet food safety. We learned that a raw pet food manufacturer was forced to close its doors due to multiple recalls. Those recalls were obtained by Ohio and Colorado Department of Agricultureignoring their own regulations on testing and obtaining pet food samples. Colorado Department of Agriculture took samples from a pet store of frozen pet food (in July) and did not place those frozen samples in a cooler. Instead, the agency placed frozen pet food on the car seat – unprotected from the July heat. We learned that an ingredient supplier (Wilbur-Ellis – mentioned in May above) was fined more than $7 Million for knowingly selling adulterated pet food ingredients. In October of 2018, we asked FDA for a public meeting with pet owners. FDA didn’t respond until December stating “Over the past few months, we have received several similar requests for meetings. We are currently considering how best to accommodate all the requests we have received. ” FDA promised to provide us information on our meeting “early in the New Year“. And in October of 2018 we learned worldwide pet food sales have dropped $2.7 billion dollars in the last two years. No recalls occurred in October 2018. And in November of 2018 we learned that it was Senator Rand Paul of Kentucky that intentionally introduced an addendum to a bill that destroyed pet food safety. Natural Life Pet Products dry dog food – elevated levels of Vitamin D.
Nutrisca dry dog food – elevated levels of vitamin D.
Sunshine Mills dry dog food – elevated levels of Vitamin D.
ANF, Inc. dry dog food – potentially elevated levels of Vitamin D.
ELM Pet Foods, Inc dry dog food – elevated levels of Vitamin D.
In December we received a Freedom of Information Act request that appeared to show Champion Pet Food purchased their fat ingredient from the same supplier as Gravy Train Pet Food. FDA sent out another consumer warning regarding the current problem of excess Vitamin D in pet foods. And in December of this year a paper was published regarding the potential link of grain-free pet foods to canine heart disease. Columbia River Natural Pet Foods raw pet food – Listeria monocytogenes. King Soopers dry dog food – elevated level of Vitamin D.
Kroger Louisville division dry dog food – elevated level of Vitamin D.
What a year it has been. Here’s hoping 2019 will bring improved (and consistent) enforcement of law in pet food. Here’s hoping for more good news in 2019 than bad. My thanks to all that support TruthaboutPetFood.com each year – year after year. Happy New Year to all. The hassle of creating a kit for your pet can be reduced by purchasing one pre-assembled. In addition to the items listed above, include anything your veterinarian has recommended specifically for your pet.